Its such a dark start of the week today with the sky covered in a blanket of grey clouds. Fortunately, the snow is melting away quickly and during my morning walk with Ollie all I could hear around me were early Spring birds singing. 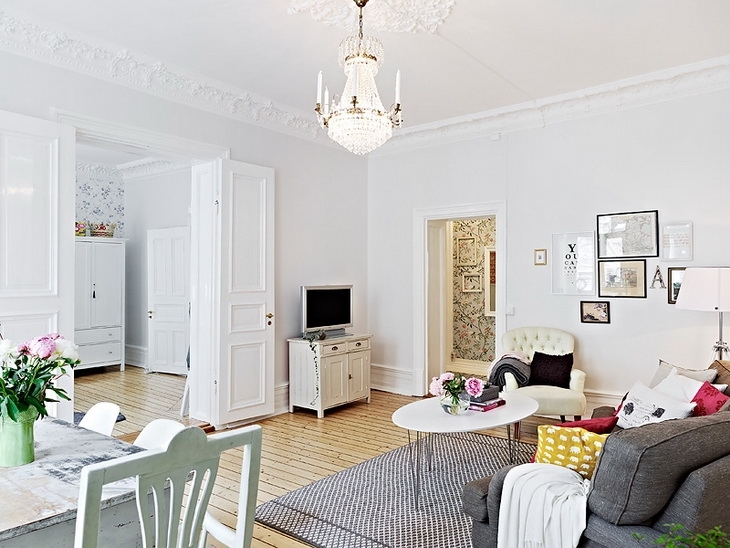 And this romantic Swedish living room I just discovered, with its soft colors against a neutral white backdrop lifts my spirit even more. Positive thinking, right? I tried picturing the space without the pink peonies and realized they were most important for me to make this Swedish design stand out. 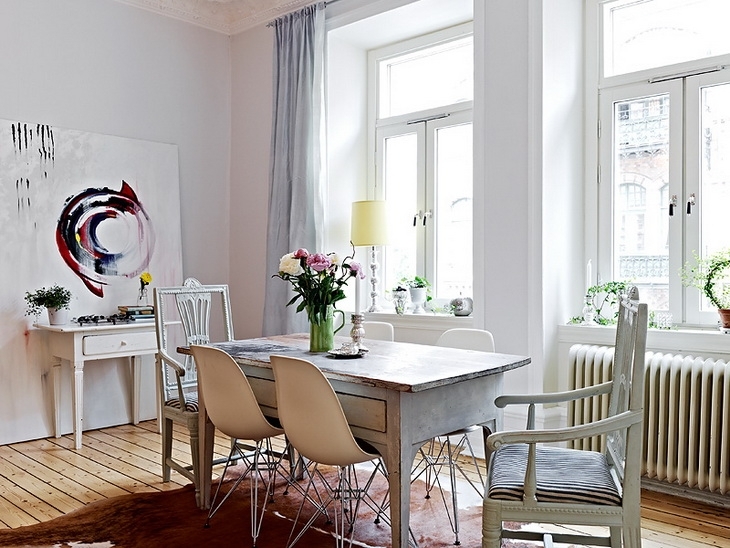 Though pretty as can be, the similarity of Swedish apartment designs (wooden floors, white or flowered walls, detailed ceilings and minimalistic modern and rustic furniture) can be boring and predictive. But not this home. The bright, eclectic, old and modern feel with a pop of yellow and as said the flowers make it feel like a cozy, romantic Spring retreat. What do you think? The sun is out here today but the last few have been gray! 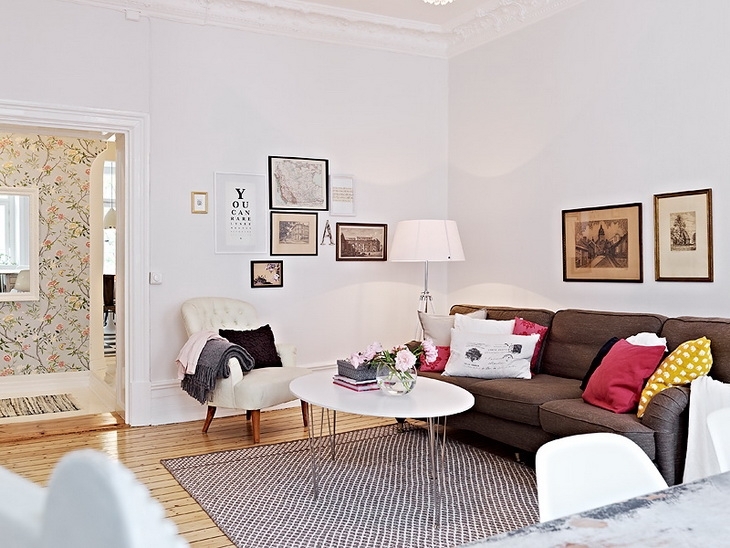 I love this light, airy home with a relaxed vibe and a dash of cool! Happy Monday - here's to a wonderful week! It's such a beautiful space but def the flowers make it look like a home! 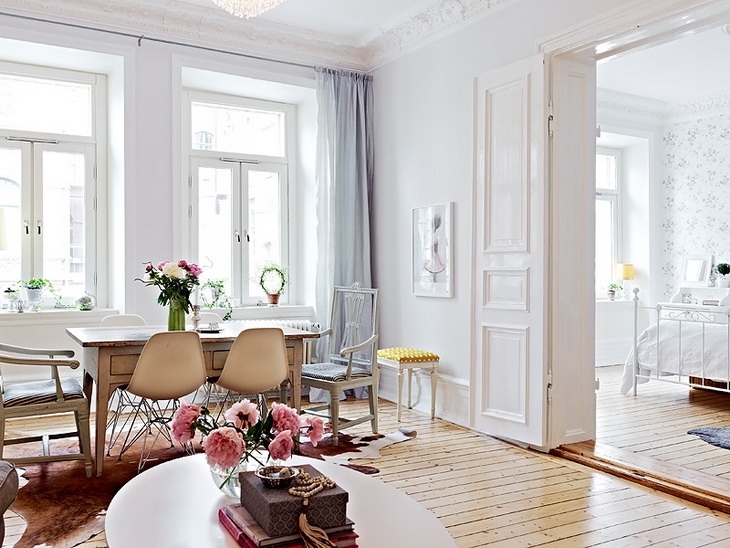 I really like the bright airy feel of this space with the vibrant pops of color scattered throughout. And personal details go a long way to make any house a home. Wow, the amount of natural light in this space is incredible! 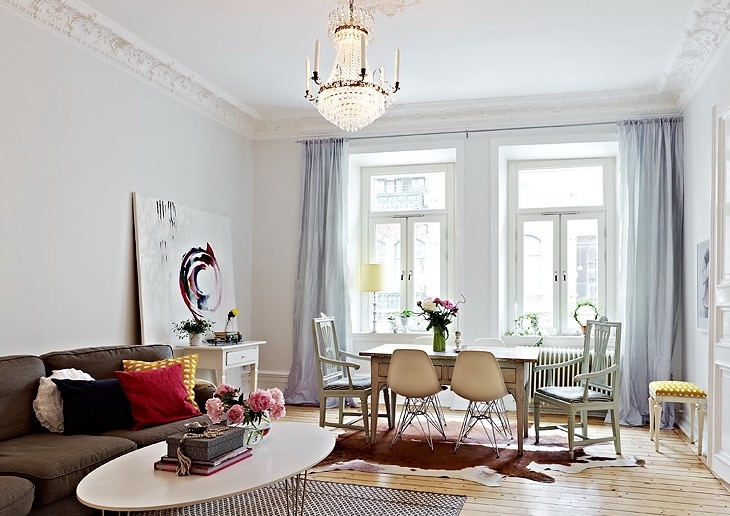 Such a glowing energy from chic furniture and pops of color throughout...beautiful! Gorgeous pictures! I am following you on Twitter, I don't find your Google Friend Connect. Happy Valentine's day from Rome! Wauw, wat is dit een geweldige kamer zeg! I am taken with the comfort of this room, this house. I'd like mine to feel even more like this!